The D212 is a temperature display that uses the same hi-quality electronics and displays as our D505 unit, which have proven to be highly reliable for many years of service. The D212 was created with the budget conscious customer in mind, to read temperature from a single sensor. 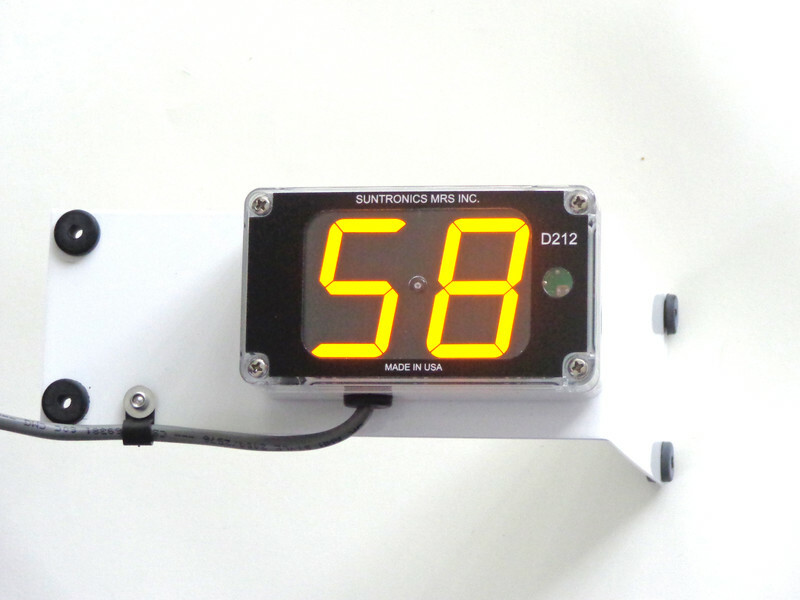 The 1 height bright LED displays facilitate easy reading of the sensor temperature reading. The display comes factory set for reverse reading to make it easy for the driver to read via the side view mirror. The unit is equipped with an auto dimming feature to adjust the display for day or night time running. Installation is simple, all it takes is to connect +12VDC and ground, run the sensor into the trailer and mount the unit at the desired height. Large 1 3/4" height, bright Yellow or Red LED display for easy visibility. Automatic dimming for day or night viewing comfort. Sensors are interchangeable without the need for calibration. © 2019 Suntronics Mrs Inc. All rights reserved.